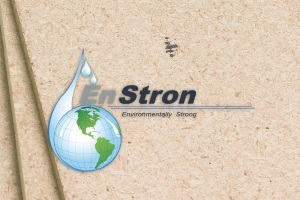 EnStron Industrial is made from 100% pre-consumer recycled wood fiber, and no added formaldehyde. Manufactured in Post Falls Idaho, the board is produced from western softwood fiber, and environmentally sound pMDI resin. It combines the machinability and workability of pine and other whitewood species with the most environmentally sound resin technology in the composite panel industry. Our particleboard provides a high-quality standard and demonstrates our commitment to sustainability and indoor air quality.